The continued development of our club, teams, and every player is extremely important to Evanston Soccer Association. We now have a tremendous opportunity to accelerate that development for our Eleven United players (U13 and older) through a new Affiliation relationship with Chicago Fire Juniors (CFJ) that has the potential to also benefit every Team Evanston player as they develop in soccer. In December 2017, Eleven United was approached by CFJ leadership about a possible relationship. This was driven by their desire to have a stronger presence in the northern suburbs and to partner with a club they know that has a similar player development philosophy and core values. Evanston Soccer Association (ESA) and CFJ have maintained a strong working relationship and held one another in high regard for many years. In this partnership, ESA will maintain management, operational, and coaching leadership of the club, while leveraging the resources and programs of CFJ. 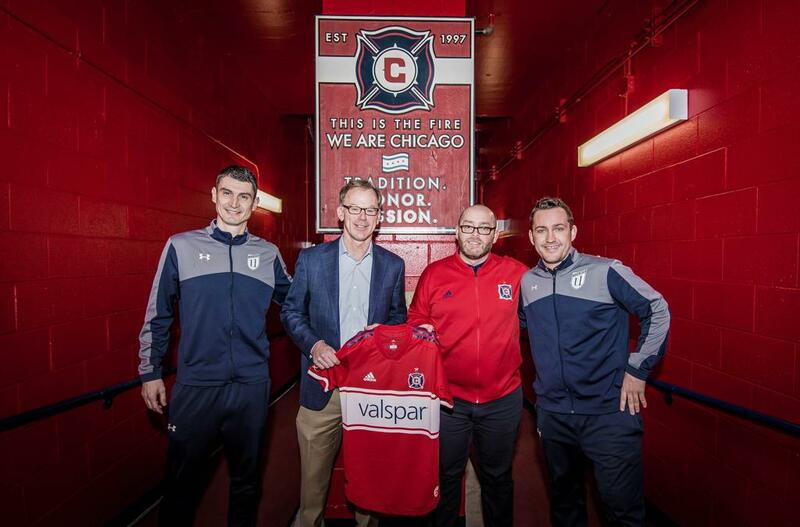 The name Eleven United will change to Chicago Fire Juniors North Shore in order to fully realize the benefits of the affiliation. Change can be challenging and this announcement likely prompts many questions, which we have begun to address in the attached frequently asked questions document. We will also be hosting a parent meeting on Tuesday, April 10, at 7:00pm at the Levy Center with the Eleven United and CFJ leadership. The agenda that night will focus on the new CJF affiliation and will also include an update on the “State of the Club” for all Eleven United and Team Evanston parents. In the meantime, please feel free to contact me at boardpresident@elevenunited.org with immediate questions. We are excited about this strategic affiliation and look forward to our future as Chicago Fire Juniors North Shore, effective this July, 2018!